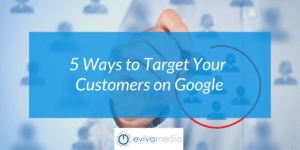 Google has powerful tools for business owners and Google My Business is one of them. That said, if you or your business is getting calls from “Google” that you didn’t ask for or expect, it’s a scam. You’ve worked hard to build up your business and you shouldn’t be afraid to use great marketing tools and help from internet and digital services. It can be dicey figuring out who is legit, what service or company is really going to help you, and what isn’t. Most of the time, unsolicited calls, emails, and ads are not legit, and certainly not from Google. Automated robocall scams – How many times have you answered a call with an unrecognized phone number followed by a robo voice? The recorded message might tell you to not hang up, or that your Google listing is in danger of being deleted if you don’t update it. These robocalls use fear to make you respond. Google never initiates robocalling. Never. These calls are scams. Do what they tell you not to do – just hang up. 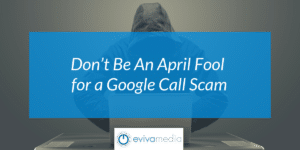 SEO help scams – Another scam is a live person calls you offering to help your business improve your search rankings on Google. There is no search engine optimization (SEO) support or service from Google. They, instead, use Google certified partners. These are third party companies who go through training with Google in order to earn a badge for service. Google won’t call to sell services they do not offer. These calls are fake. Also remember, not everyone who claims to be a Google Partner actually is one. You should ask them for a link to their partner profile to be sure they really have Google certification. Checking your account details for trouble scam – If anyone calls from Google, or any other company related to Google, saying they need to fix or update your account details for any reason, do not give them the sensitive information they may ask for. That includes your account number. Remember, Google never makes unsolicited calls, and if they are calling you for a problem, they will already have your account info. Do not give payment information, pin numbers, or passwords. They will never ask for these on their own. There are specific circumstances in which Google might call you. In every circumstance, they will not attempt to gain sensitive information, sell you something, ask for payment, or promise a more favorable search placement for your brand or products. What they will do is try to reserve appointments when you’ve already requested help or information. Their call will be customer service-oriented regarding Google Play, Ads, or other accounts. You also have the opportunity to opt out of any automated reservation calls. 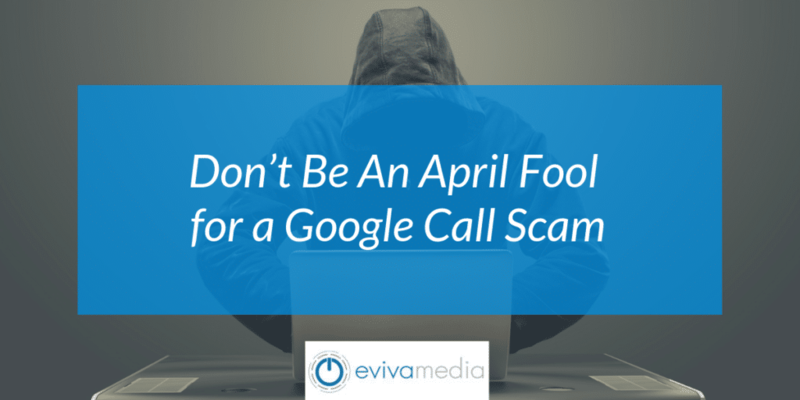 Any call from Google will be preceded by action on your part. Google will give you proof of their validity with your own information, including a pin number from your previous complaint or call. First, make sure your business number is on the Do Not Call registry. You can go to the website or call 1-888-382-1222 to register. When you do receive these scam calls, don’t press any number in response to their message, don’t speak, and just hang up. Interacting with the number will simply encourage more calls from another related masked number in the future. Save the number and report it to the FCC. If you somehow have any of their company information from the call, the caller ID info on your phone, or an internet search of the number, you can send that information, along with their number to Google to help with their efforts to prevent future spammers. Whoopie cushions are funny, but scammers getting your money or private info is not. Let April Fool’s Day be a safe and fun one. Setting up your digital marketing campaign doesn’t have to be painful or scary. 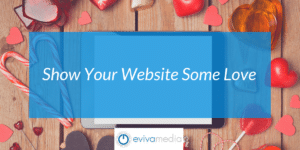 Eviva Media can help you sort out what’s real and what’s fake, while helping you grow your business with our customized, affordable online marketing packages. We also offer website and graphic design solutions. Contact us for a consultation today.